It was another packed house on March 21st. Poor John Hawkins was out sick, but Russell Aaron took the reigns and ran a great meeting. Most of the attendees included longtime members, but we did have a handful of new members. The March agenda included a brief intro to Keywords Everywhere from Laura Coronado, an Intro to Enfold Theme and Avia Builder from Matt Campbell, and Creating Conditional Forms by Russell. Here’s what we covered and learned. WordPress now powers 30% of the internet! When plugins make updates, they keep a log of those changes. Some plugins have a brief log, but others, like Easy Digital Downloads (EDD) have a super long list. Russell says you can learn a lot from the changelogs, especially what it is about the changes that could have affected your site. Audience question: Which SSL plugin does Russell recommend? Really Simple SSL or Force SSL. Keywords Everywhere is a Google Chrome and Firefox browser add-on that reveals the search volume, cost per click (CPC), and competition for a keyword or key phrase. After installation, the extension will display results beneath the search bar. See the example below. The Volume represents the amount of searches per month for the key phrase. It’s based on an average of the last six months. The CPC is the cost per click that Google charges when using the phrase for a paid advertisement (Google Adwords). 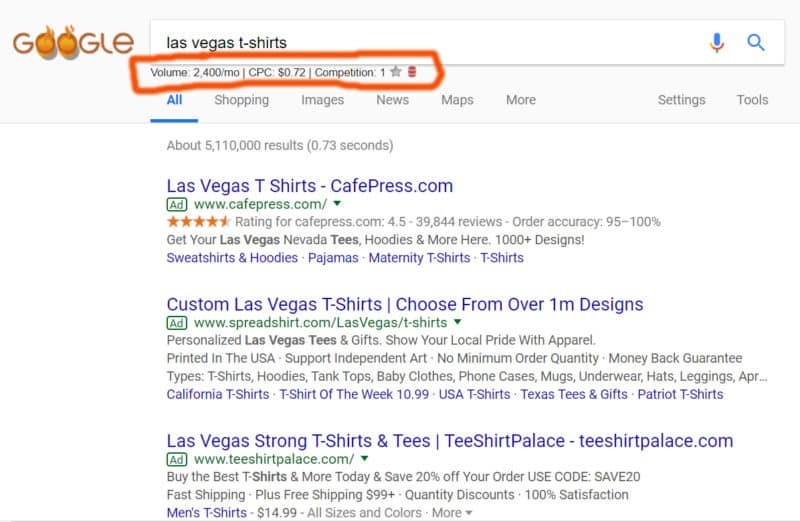 The Competition (rating is from 0-1 and all decimals in between), represents the number of advertisers bidding on that particular keyword/key phrase. While the tool is clearly a useful one when running an advertising campaign and setting a budget, Keywords Everywhere also works for selecting the best keywords and phrases for creating organic content. So the next time you’re writing a blog post or page content, and you’re wondering which keywords you should use, try using Keywords Everywhere. Q: What is a quick and easy way to build a beautiful WP site? A: Enfold Theme and Avia page layout builder. Matt uses the Enfold Theme and Avia builder on his site My Wedding Songs. It’s a paid theme available at ThemeForest and a 4.1 best-rated top seller. Tip: create a child theme to protect your website from future theme updates. Bonus tip: ALWAYS BACKUP. Two pitfalls to consider: content in Avia Builder may not transfer into a new theme. And, pages created in Avia Builder may not automatically include comments and social shares. You don’t need to know CSS. The Advanced Styling section allows you to set headers, sidebar, footer, layout, etc. You can just click and drag or tap. There are layout elements, content elements, and media elements to select from. You can even create page templates. It’s easy to set up social shares (but sadly doesn’t include Yelp), and you can easily add testimonials. You can create sliders, but you can also rely on a plugin. See the slides to Matt’s presentation here. Eighty percent of WordPress is built around a contact form. Creating conditional formats within your forms allows you to create a fork in the road with one form and each answer that users place in your form fields provides different results. Based on answers in one part of the form, the next steps are dependent on those answers. There is some fun stuff to do with conditionals, such as showing the discount the user is receiving depending the purchase they’re making. You can offer the visitor the opportunity to join your email list, and if the user answers yes, a MailChimp popup appears to capture their contact information. Russell’s favorite contact form plugin is Gravity Forms. You can drag and drop when building it; you don’t need to be a coder. Other form plugins that members recommended include Ninja Forms, Formiddable Forms, Caldera Forms, Monster Forms, and Contact Form 7. Las Vegas WordPress Meetup meets every third Wednesday of the month. All levels of WordPress users and developers are invited to attend. Our next meeting is Wednesday, April 18, from 6:00 p.m. to 7:50 p.m. at InNEVation Center (third floor), 6795 Edmond Street. RSVP here.